The alphaton multichannel audio splitters distribute microphone levels and line levels up to +6 dBu, featuring low distortion and very low inertial loss. Principal application of alphaton audio splitters are in sound recording studios, in public address systems and broadcast and television studios and OB applications. MPV splitters offer optimum high voltage safety. They comply with VDE and IEC regulations and are recommended by European broadcasting companies. which terminates the microphone directly. All alphaton splitters feature an optional "Direct-Out" in addition to the isolated outputs to handle phantom power. 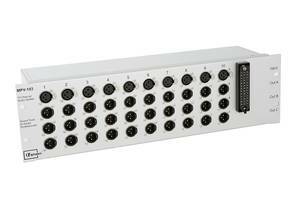 alphaton multichannel audio splitters distribute are housed in a 19" standard case, each has 12 (10) inputs, which in turn have three transformer-balanced outputs. 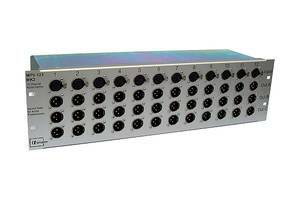 Optionally each input channel features a "Direct-Output" (parallel wired) that routes phantom power from the main mixing console to the microphone. 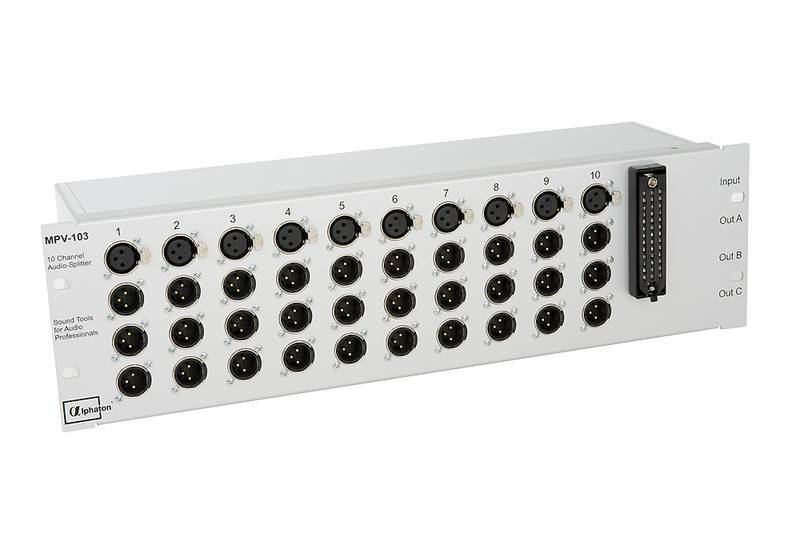 The direct-outs are wired to IEC 30/39pin connectors on the rear panel (other connectors, like XLR connectors upon customers request) to feed a multicore cable leading to the main mixing console.